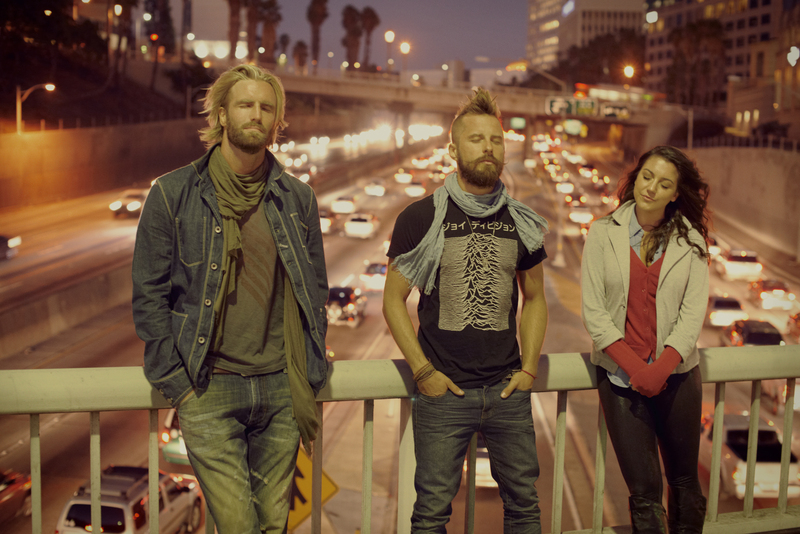 LA based musical trio The Great Escape recently released a new self-titled album that the group also self-produced. In this album the group clearly expresses their talent and proficiency at what they do, but there is somehow very little personality in the music. They are an obviously tight band topped with an Amy-Winehouse-type vocalist. The songs are made of good arrangements and the extraordinary production quality is really clean and professional. The music itself is entertaining and danceable even, but it is just not terribly engaging. There is nothing about the sound making it particularly special or unique. The band follows a formula for a diverse rock album, incorporating a variety of rock and pop traditions. “The Secret Song” has a more down home feel with a nod to folk country roots largely created by the bluesy harmonica, while “I Want It All” flirts with a New Orleans inspired sound carried by the saxophone. The band opens “Let’s Go” with a gospel a capella choir then utilizes a doo-wop like melody. The artists even make a funk song out of the track “Put it on Ice.” While typically the melding of different genres is pleasing, this album instead feels cookie-cutter like the various genres have just been white washed and not really reinvented. Fans of Adele may develop an affinity for the female vocals, or perhaps may find them unoriginal. While the singer has an agreeable and even attractive voice, in the song “Let’s Go” her vocalizations of “yeah” are overdone and are reminiscent of Robert Plant in their egocentrism. The lyricism is so uninspired that it takes away from the music at times. For example, the track “Rebel” has a funky rock sound with fun horn riffs, but as the lyrics offer example after example of how the singer is a rebel, she says at one point “I wash my hair with champagne.” How wasteful, and probably sticky too. The song “All I think about (is you)” seems banal in its repetitive declaration that all the singer can think about is one particular person, presumably a man (or perhaps the listener), yet the sentiment is a quite relatable first-world problem. Unfortunately there’s no deeper exploration of these emotions before the song ends. More optimistically, the band did show a hint or two of true self-expression. We get to hear the rest of the band’s vocals in “It’s Getting Better” which add a nice contrast. Finally some rawness seems to slip out at the end of the album during the track “I Just Can’t Help Myself” in which the group uses an acoustic texture to create a feeling of longing. This first real emotional expression is strangle cut short as the song ends abruptly in the middle of a phrase, which perhaps was intended to create an edgy feel. The Great Escape will surely escape their self-imposed mediocrity in the future if they choose to look deeper into the feelings that their songs have the potential to imbue in the listener, and perhaps if they find ways to convey their own human uniqueness rather than just the melodic standards of past eras.